COREY SCOTT JACOBS DESERVES CLEMENCY! A life sentence, assuring Corey will die in federal prison for a non-violent drug offense - his first ever felony conviction - is too heavy a burden. I am Corey Jacobs – a non-violent drug offender currently serving a life sentence in a federal penitentiary without any chance of parole for my first ever felony conviction. I began serving a life sentence in May 2000 after being found guilty by a jury and convicted on charges relating to a non-violent drug conspiracy. My participation in the conspiracy occurred while I was in my early twenties. Born and raised in the Bronx, I was my mother’s only child and lived with her the first few years of my life until she fell on hard times and was unable to take care of me. After that my loving grandparents raised me. My grandparents were truly the best. They provided a nurturing environment and instilled in me the value of education. In 1988, a year after attending college in New York, I decided to relocate to Virginia to pursue a college degree from Norfolk State University. My involvement in the drug conspiracy started there when I decided to make some extra money with a small group of friends to offset some financial difficulties I was experiencing. I allowed myself to fall prey to societal flaws and sharply veered off the right educational path that I was on. The decision I made to engage in these illegal activities was the BIGGEST MISTAKE of my entire life. During the past 16 years of my incarceration, I have looked within myself to confront each and every one of my faults, missteps and mistakes. This confrontation and inward awareness has been heart-wrenching, emotionally torturous, and sometimes downright depressing. Yet, more importantly, I found it to be a liberating and redemptive experience as well. By admitting, assessing, and holding myself accountable for the illegal decisions I made in life that led to my incarceration, I have finally felt the burden I have been carrying for years lifted off my shoulders. I know I cannot change my past or make any excuses for it, but I accept it and take full responsibility for my actions. I have participated in numerous classes in prison that taught me the harmful effects that drugs have on our society. I am truly remorseful for all the harm my unwise actions to become involved in dealing drugs caused to all those affected. One of my deepest regrets is that my bad choices caused me to be separated from my family, especially my children for the past 16 years. My children were only 2 and 1 year old when I came to prison. I have been emotionally connected but physically separated from my children for so long and strongly desire to have my sentence reduced so that I can be reunited with them and be an active and involved parent. Nothing hurts more than thinking of all of the memories that I will never have with my children. I long to be present and able to nurture and provide parental guidance in their most pivotal years of going on to college – the years where my life was turned upside down. My dream is to be there for their high school graduations and to see them off to college. I dream about being there for them when they start their own families. I remain prayerful and hopeful that I will be able to be reunited with them soon. Something else that has continually pained my heart is not being the grandson that my grandmother wanted me to be. My grandmother played an influential role in my life and I know I let her down with the foolish decision I made to become involved in drugs. I lost my mother right before I came to prison and my grandmother, grandfather, and father have all passed away since I have been in prison. Due to my life sentence, I was unable to attend any of their funerals and say my last goodbyes, which was devastating. However, I remain hopeful that I will one day be released and can still make my grandmother proud. I have used this time in prison to become a better man, a man that is filled with hopes and dreams of being a benefit to society. Even though I face the harsh reality of dying in prison for a non-violent drug offense, I am not bitter but determined to be better. I have learned so much from my time in prison by completing numerous certifications to enhance my education and graduating with honors from an 18 month spiritual program, the Life Connections Program. I am proud of the man that I am today. I made a terrible mistake and I have paid dearly with 16 years of my life, but I truly believe that being sentenced to die for a non-violent drug offense is too harsh of a punishment for the crime that I committed. My aspiration is not just about gaining my physical freedom, but about having an opportunity to demonstrate the most tangible form of redemption and rehabilitation possible: the salvation of young people from the plague of a criminal mentality and lifestyle. Re-entering society for me is knowing that I still have an opportunity to fulfill a heartfelt purpose of turning the failures of my past into great accomplishments to help others. It is my greatest hope that if this entire experience I have had to endure could help save just one person from taking the wrong path I took, then all this would have been worth it in the end. Thank you for taking the time to read this letter. Right now, my only chance for freedom is clemency from President Obama. My clemency petition is on file with the U.S. Pardon Attorney. Please explore this website to learn more about my story and ways you can help raise awareness about my case. I have utilized the past 16 years in prison constructively and dream of the opportunity to prove to society that I learned from past mistakes. Without your help, I will die in prison. With no parole in the federal system, Corey has been essentially condemned to die in prison as a non-violent drug offender for his first ever felony conviction. Life in prison without the possibility of parole is, short of execution, the harshest imaginable punishment available in America. It screams a person is beyond hope, beyond redemption. It rips away any chance of reconciliation with society and gives no chance of fulfillment outside of prison walls. And, in Corey’s case, it is grossly out of proportion to the conduct it seeks to punish. This fundamental death sentence should not be imposed on non-violent drug offenders. Unless Corey’s sentence is commuted, he will serve the same sentence as a person convicted of a brutal murder. Undoubtedly, carrying the overwhelming weight of waking up each day for the past 16 years (over 5,840 days) facing the grim reality of dying in prison, compounded by the separation from his two children, has sufficiently deterred Corey from becoming involved in a drug conspiracy or any other illegal activity ever again. Requiring Corey to spend the rest of his life in prison serves no useful purpose to himself or to our society. The Department of Justice recently announced a new clemency initiative to encourage qualified men and women in federal prison to petition to have their sentences commuted, or reduced, by President Obama. As of today, the President has granted clemency to a total of 187 deserving people – more than the last five presidents combined. Corey embodies an ideal candidate for clemency; a model for President Obama to continue to restore vigor and integrity to the presidential pardon process. Corey has been sentenced to life in prison with no possibility of parole as a non-violent drug offender under a sentencing scheme that has since been publicly denounced by members of Congress. In addition, the United States Sentencing Commission has determined that the federal sentencing guidelines used to sentence Corey were flawed. This determination is evidenced by not one, but many guideline adjustments within recent years in the realm of crack cocaine federal sentencing that drastically reduce sentences for crack cocaine offenses. Unfortunately, Corey’s case has been beyond reach of these reform efforts. These paramount developments in Congress and the Sentencing Commission tell us one thing – the crack cocaine penalties under which Corey was sentenced were unjust. When Corey was sentenced, mandatory sentencing laws generated unnecessarily harsh, automatic life sentences for non-violent drug offenses – stripping judges from the power to consider individual circumstances. However, if convicted of these same offenses today, Corey would certainly have received a lesser sentence. The same judge who sentenced Corey to life in prison supports Corey’s request for clemency from the President. The judge confirms he is “certain” that he would not have imposed a life sentence on Corey had federal laws, at the time, “not virtually mandated it.” The judge also attests that he would not have imposed a life sentence on Corey even under federal laws as they stand today and also agrees that Corey’s “behavior while in prison reinforces the merits of his clemency request." Corey is undoubtedly ready for freedom. Even the judge, who had to sentence Corey to life in prison under mandatory sentencing guidelines, agrees that Corey is deserving of clemency. Though he is facing a fate that would be unbearable for many, Corey has shown tremendous dedication to bettering himself and was disproportionately sentenced to life in prison under laws that have since been reformed. Corey has more than paid the price for the crime he was convicted of by serving the past 16 years in prison and is well prepared for release to meaningfully contribute to society. 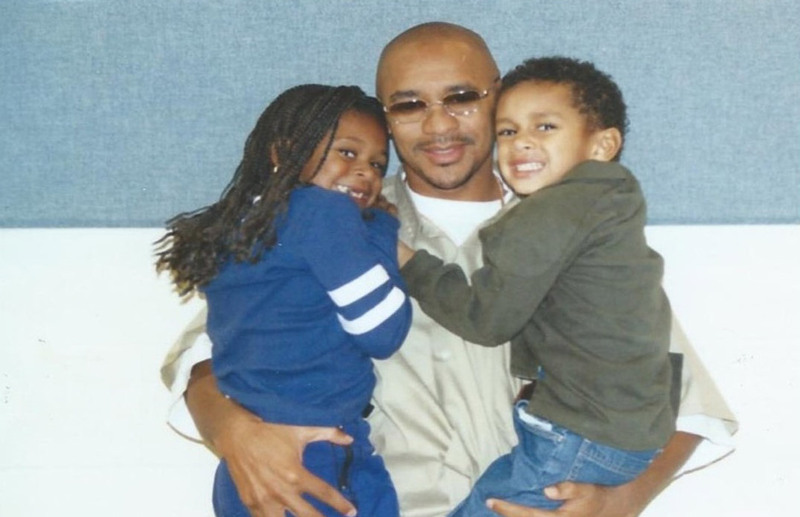 Please help us urge President Obama to grant Corey’s pending clemency petition before he leaves office. Time is of the essence. A life sentence, assuring Corey will die in federal prison for a non-violent drug offense – his first ever felony conviction – is too heavy a burden. He should not have to come out of prison in a casket. Thank you in advance for your support to help save Corey’s life. "Over The Last Few Decades, We’ve Also Locked Up More And More Non-Violent Drug Offenders Than Ever Before, For Longer Than Ever Before … In Far Too Many Cases, The Punishment Simply Does Not Fit The Crime. If You’re A Low-Level Drug Dealer … You Owe Some Debt To Society. You Have To Be Held Accountable And Make Amends. But You Don’t Owe 20 Years. You Don’t Owe A Life Sentence. That’s Disproportionate To The Price That Should Be Paid." "Too Many People Go To Too Many Prisons For Far Too Long For No Good Law Enforcement Reason. We Need To Ensure That Incarceration Is Used To Punish, Deter, And Rehabilitate – Not Merely To Warehouse And Forget."